Diego Rivera, or Diego María de la Concepción Juan Nepomuceno Estanislao de la Rivera y Barrientos Acosta y Rodríguez to be exact, was a prominent Mexican painter and the husband of Frida Kahlo. From the age of ten, Rivera studied art in Mexico City and was later sponsored to continue his study in Europe. Rivera arrived in Europe in 1907, and after an initial stint in Madrid, he went to Paris and made his home among the artists of Montparnasse. One such artist was fellow Mexican Adolfo Best Maugard. 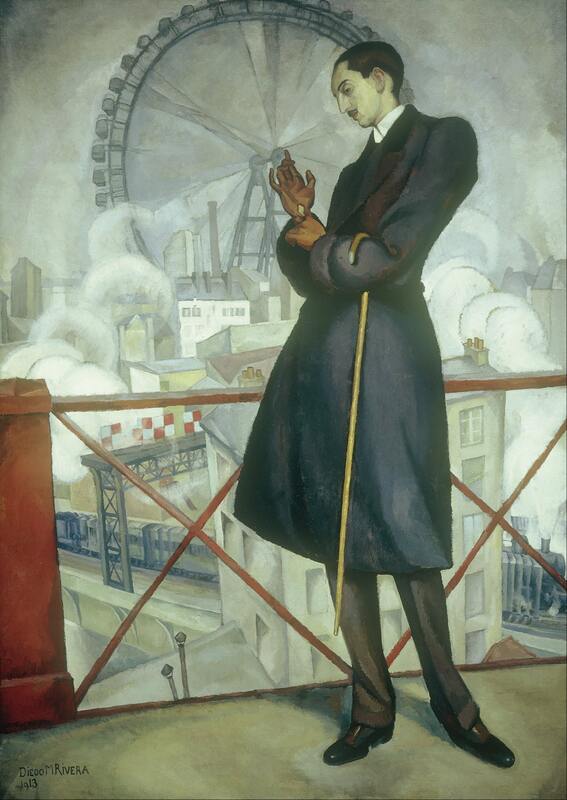 This strikingly elegant portrait depicts a view of the Gare Montparnasse from Rivera's studio, and is as much a homage to his new home as a portrait of his friend.